So today we had our basic training on what a DSLR is. Very basic things. Things that I really would have not needed to learn again but anyway after we got through that we got to go take pictures! 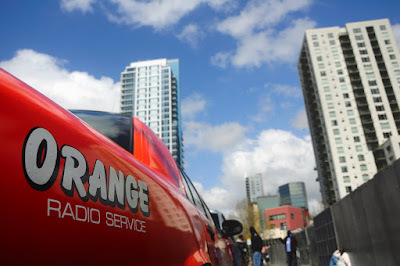 There are various competitions that we do and the first was to get a picture that just communicated orange. 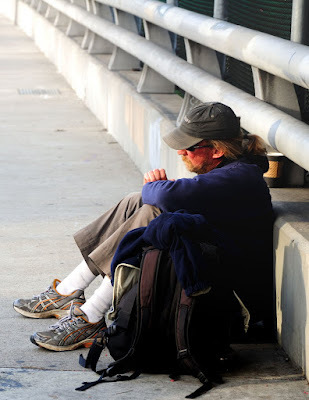 Here is the picture that I was able to capture in downtown San Diego! The photos will be judged in the morning so I can't wait to see what develops! 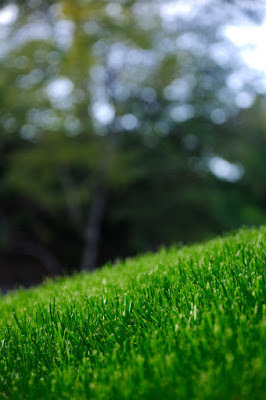 Alright I know I'm mean but I just had to take a picture of the GREEN grass! This was actually taken in front of a building in the middle of town. The road and traffic lights were eliminated from the frame by careful positioning. As with any large city there are always those who don't have the best of conditions to live in. 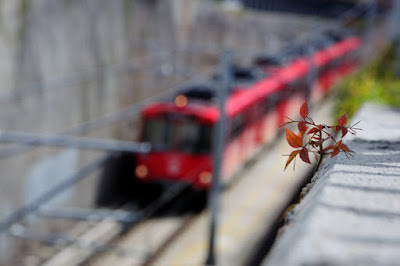 Below is just a creative way to communicate the train in relation to the vegetation present in the frame. Love em! This is going to be my favorite blog for awhile, I can tell! I'll be checking every day! Awesome photos, Ben! We too are checking your blog every day! I love your "orange" photo....two thumbs up! I agree! It is too snowy here to even see a hint of green!